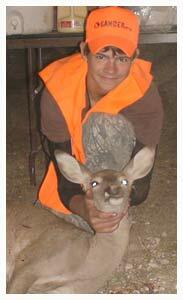 At Escondido Ranch our goal is to ensure that every hunter is as successful as possible on each and every hunt. 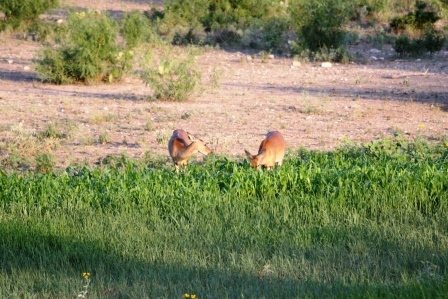 In order to achieve that goal we strive to provide specific Texas doe hunting tips, techniques and secrets to make sure you get a shot at the specific whitetail or exotic doe you hoping to bring home. While some of the outcome does depend on your marksmanship abilities, our professional guides will get you to the right spot, at the right time, to make your hunting trip a great experience. In most cases all hunting will be done from blinds that are strategically placed above deer trails and around set feeding locations. This makes sure that the deer will move through specific areas of the ranch, allowing the guides to help you be in the right spot. The rest of the Texas doe hunting tips provided on this page are designed to help you as the hunter be in the best position to take a shot. One of the most obvious but often forgotten Texas doe hunting tips or techniques is to simply know your equipment before the day of the hunt. This means sighting in and checking your gun, as well as knowing where your extra ammunition is and where binoculars are in the stand. While this may seem a bit elementary, taking your eye off the does to rummage around in the stand is only going to draw unwanted attention and possibly scare the deer away. Having everything in the blind or stand in easy reaching distance from where you are positioning yourself is going to be critical. Sighting in your gun prior to the hunt will prevent a lot of missed shots when you finally have the deer right in your sights. Many Texas doe hunting tips forget to list this simple and very easy advanced preparation step, resulting in shot fired over, under or to the side of the intended target. You may want to consider trying something new with regards to your Texas doe hunting tips and techniques. If you have never tried calling deer, you might want to experiment with different commercially available calls on the market. Like with sighting in your gun, this isn't something you want to be doing the day of the hunt, rather work on this for several weeks before your hunt, ensuring that you can mimic the soft grunts that does use to communicate with each other. Bleating is another sound that whitetail does make, and if you can mimic this you are well on your way to communicating in deer language. 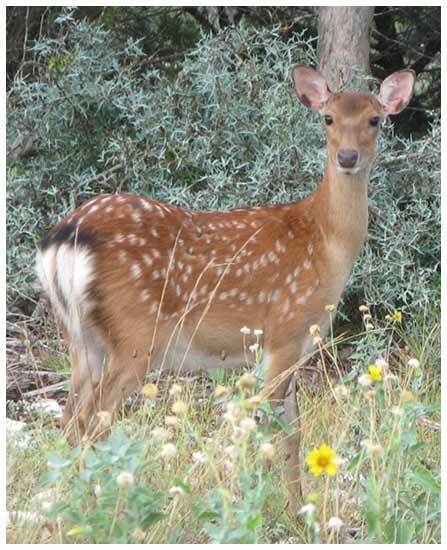 For those that don't want to do it the old fashioned way, there are several electronic callers that are ideal for use as Texas doe hunting tips and strategies. One of the most commonly passed down Texas doe hunting tips or techniques is the use of a deer attractant. The food areas on the ranch serve as natural attractants, but so are salt and mineral blocks, commercially available sprays and gels and liquids for easy application to the ground or the surrounding areas.